To correct errors and omissions on previous years’ filings or changes in filing status, income, deductions or credits use IRS amended return Form 1040X. Amended returns are particularly important to file when the correction results in a lower tax debt or bigger refund for you. Your best bet for gauging when you might receive a refund check based on an amended tax return is to use the IRS’s online app, Where’s My Amended Return? 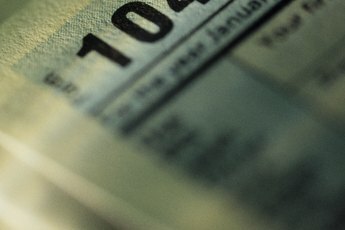 The IRS has a mobile app called IRS2Go and an online app called Where’s My Refund? But they only have information on refunds related to original filings for the current year. They do not have information on amended filings or past years’ filings. To use Where’s My Amended Return? you’ll need to provide your Social Security number, date of birth and the ZIP code you used on the amended form. This tool shows when the IRS received your amended return (actually, it’s when they entered it in their database), when adjustments to your original filing have been made and when the amendment process has been completed. When Where’s My Amended Return? shows the status of your amended return as “completed,” your refund should arrive soon after. Amended returns take a long time. It takes up to three weeks after you mailed before it even shows up in the IRS’s system. Once in their system, it takes another 16 weeks to process. So, if you haven’t heard anything by the beginning of the sixth month, it’s time to follow up. After your amendment is completed by the IRS, you should receive a notice stating how much of a refund you’ll be getting or how much additional tax is due, or that there is no change from your original filing. Where's My Amended Return? is updated once every 24 hours, usually at night. So, while it’s not recommended simply to avoid frustration, you can check it every day. You can also call the IRS’s toll-free number, 866-464-2050, for an automated response. But they say that the information in the online tracking system is the most current. The online tool is also your best bet If you’ve filed multiple amended returns for multiple years. You can check the status of up to four amended returns on Where’s My Amended Return? ; the current year’s and up to three prior years’ returns. Don’t waste your time trying to reach a real person by phone or by going into your local IRS office to ask about your amended return. Unless it was filed over 19 weeks ago, neither telephone representatives nor office personnel have any means of researching it. 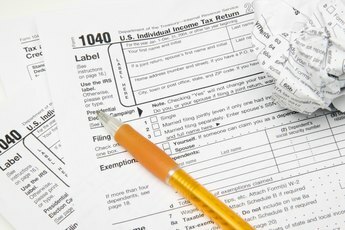 You should only try to reach an IRS representative if Where’s My Amended Return? directs you to. Not all amended returns are searchable in Where's My Amended Return? For example, it won’t give you the status of an amended return with a foreign address or a business amended return. Neither will it show an amended return that’s being processed by one of the IRS’s specialized departments like the Examination or Bankruptcy Departments. If you make a mistake on Form 1040X, it can take the IRS longer than 16 weeks to process your amendment. Some common mistakes are not completing the form and forgetting to sign it. If a mistake has been made, the IRS will notify you by mail. An amended return will also take longer to process if it has to go through the IRS’s Bankruptcy Department or it involves the appeal of an earlier IRS decision. The Bipartisan Budget Act of 2018 significantly impacts a large number of individual taxpayers. And it’s not just for tax years 2018 going forward. 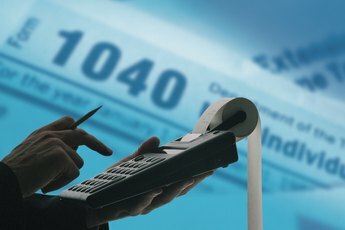 Many of the changes are retroactive to the 2017 tax year. So it’s important to familiarize yourself with the act. If you qualify for any of these benefits and did not claim them on your 2017 tax return, you might want to file an amended return. The act contains numerous tax provisions for people who were affected by the California wildfires. For example, the 10 percent additional tax on early withdrawal of retirement funds may be waived if the money was used to recover from losses caused by the wildfires. Limits were relaxed for charitable contributions to organizations involved in relief efforts for victims of the wildfires. Other changes affecting individual taxpayers include energy provisions. To find out if any of this applies to you check the IRS’s website or consult a professional tax preparer. The act also extended several 2016 tax provisions through 2017. Extensions on benefits that can be claimed for 2017 include a deduction for tuition and fees, credits for an energy-efficient residential property, qualified principal residence indebtedness, mortgage insurance premiums and construction of energy-efficient new homes. There are also credits for electric motorcycles and mine-rescue team training. For 2017, changes were also made in the childless earned income criteria and a time extension was given to veterans filing claims relating to overpayments made to them under the Combat-Injured Veterans Tax Fairness Act of 2016. Wrongfully incarcerated individuals were given a break to exclude from their gross income certain amounts of compensation they received for being wrongfully incarcerated. If you reported these amounts as income in a prior tax year, you should file an amended return. Do not file an IRS amended return to correct mathematical errors on your original filing. The IRS automatically makes corrections for you. Also, do not file an amended return if you forgot to attach your W-2 or Schedule A to your original filing. You’ll get a letter from the IRS asking for any missing documents. The IRS says, via its website, amended returns can take up to 12 weeks to process. LeDona Withaar has over 20 years’ experience as a securities industry professional and finance manager. She was an auditor for the National Association of Securities Dealers, a compliance manager for UNX, Inc. and a securities compliance specialist at Capital Group. She has an MBA from Simmons College in Boston, Massachusetts and a BA from Mills College in Oakland, California. She has done volunteer work in corporate development for nonprofit organizations such as the Boston Symphony Orchestra. She currently owns and operates her own small business in addition to writing for business and financial publications such as PocketSense, Zacks and Budgeting the Nest. Can You File a Tax Return Amended From Joint to Separate? How Do I File My Taxes If I Got Married & Moved to Another State?